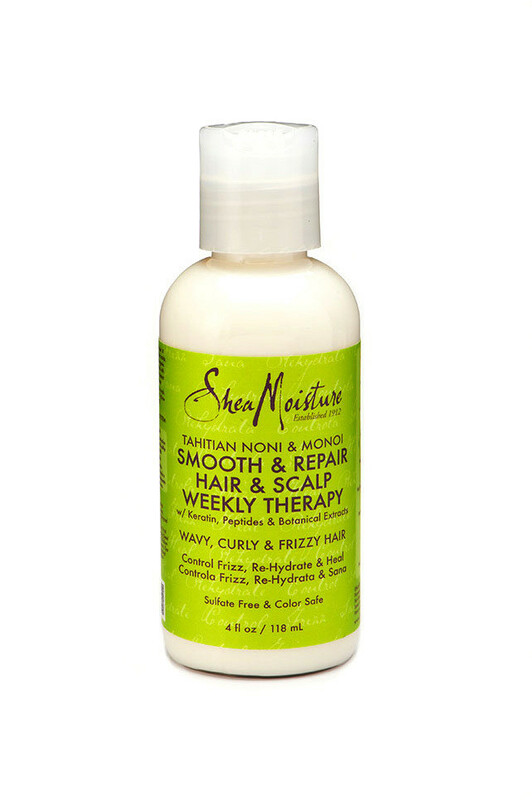 SheaMoisture's Tahitian Noni & Monoi Smooth & Repair Hair & Scalp Weekly Therapy works to soothe, hydrate and provide antioxidant benefits to the scalp, which promote healthy hair renewal and growth. Hair looks thicker and fuller over time. This conditioner supports SheaMoisture’s TAHITIAN NONI & MONOI SMOOTH & REPAIR HAIR STRAIGHTENING SYSTEM and helps keep "straight" look for up to 4 weeks. • Tahitian Noni with antioxidant Vitamin C helps maintain hair health. • Monoi Oil contains reparative benefits that revive dry, damaged hair. • Keratin smoothes and reduces flyaways while moisturizing hair.